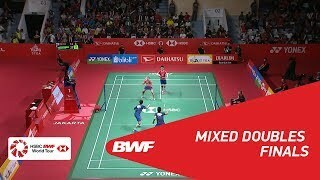 The Yonex-Sunrise Hong Kong Open Badminton Championships 2017, played from November 21 to 26, 2017 at the Hong Kong Coliseum, saw some smashing badminton action. In the Men’s Singles final, Lee Chong Wei (Malaysia) beat Chen Long (China) 21:14 and 21:19. World No.1 Tai Tzu Ying of Chinese Taipei clinched her third Women’s Singles title in Hong Kong after two straight victories over India’s Pusarla V. Sindhu, both 21:18. 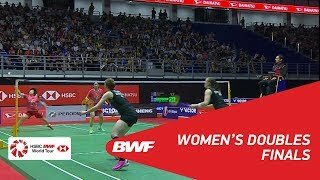 In the Mixed Doubles final, China’s Zheng Siwei/Huang Yaqiong finished off Denmark’s Mathias Christiansen/Christinna Pedersen 21:15, 21: 13 in 35 minutes flat. 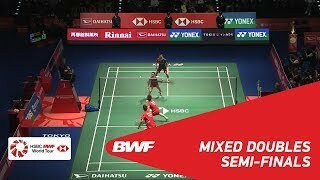 In the Men’s Doubles final, Indonesia’s Marcus Fernaldi Gideon/Kevin Sanjaya Sukamuljo won the match 21:12, 21: 18 against Denmark’s Mads Conrad-Petersen/Mads Pieler Kolding. China’s Chen Qingchen/Jia Yifan beat Indonesia’s Greysia Polii/Apriyani Rahayu (14:21, 21:16 and 21:15) to clinch the Women’s Doubles champion.